When you choose Apex, you’re getting the backing of our in-house energy management engineer Alex Koncar who holds a Masters Degree in Mechanical Engineering. He is a renown published authority and recent author of the ‘HVAC Control Optimisation Guide’ on behalf of NSW OEH and an official speaker on energy management for the ASME (American Society of Mechanical Engineers). His energy management and HVAC Design innovations have been implemented at many reputable organisations such as the – State Library NSW, Australian National Maritime Museum, Land and Property Information, Bankstown Shopping Centre, Norman Lindsay Gallery, Queen Victoria Building and the Star Casino. He is NABERS Assessor with many performed ratings of office buildings, shopping centres and hotels. 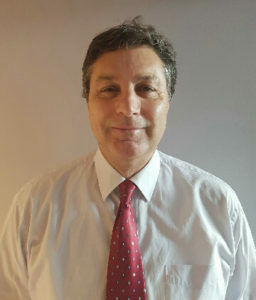 He has specialised to conduct energy audits (Principal and Lead Auditor on NSW Government Panel), NABERS Ratings, BMS Optimisations, Troubleshooting of operations of HVAC systems, M & V Plans (as Certified Monitoring and Verification Professional), health check of building mechanical services, as well as energy efficiency improvements, HVAC Design and NABERS Repositioning studies. Alex’s initial assessment is free of charge. Why should I rate my building? Every office building has the potential to reduce operating costs, improve efficiency, build corporate reputation and make a real and positive difference to the environment by becoming more sustainable. It’s a matter of switching off, using less and recycling more. By using NABERS to assess the efficiency and environmental performance of an office building or tenancy, you’ll be able to see how you measure up against others and where you have an opportunity to save energy and water and improve the indoor air quality. Having a current, independent and reliable rating can help building owners, managers and tenants to understand the performance of their building or tenancy over time as well as the impact of actions taken in the key areas of lighting, indoor air quality, heating/air conditioning, and water use. Research has shown that, by implementing simple energy efficient practices, many office buildings can save 20 to 40 percent on their energy bills and significantly reduce greenhouse gas emissions.